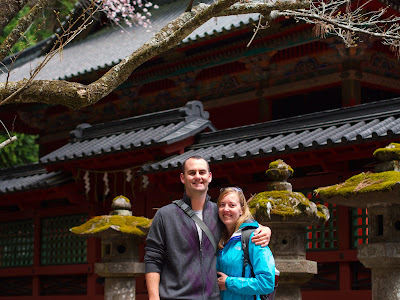 We returned to Tokyo after our overnight stay in Hakone, to realize we wanted a few more days out of the city. An analysis of train travel costs, weather patterns, and advice from our hosts led us to Nikko, and we are so glad it did!! 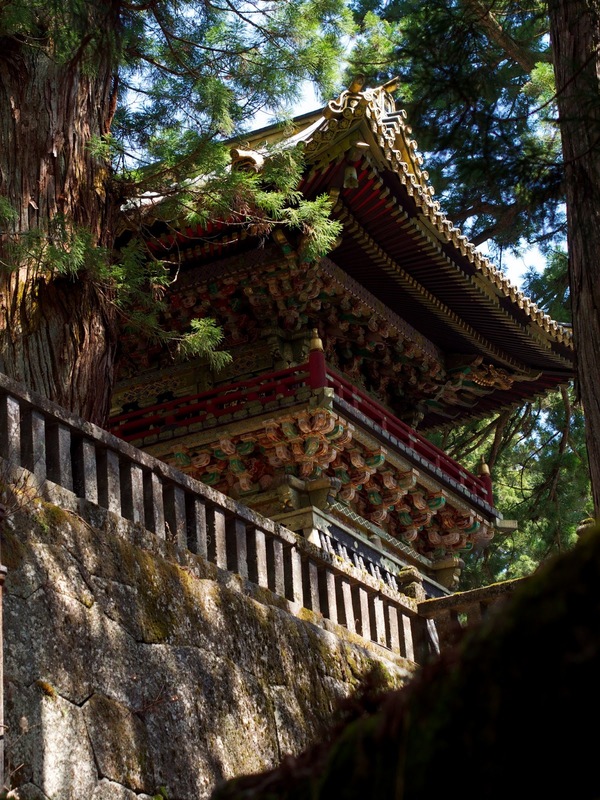 Nikko is a town in the mountains, about 2 hours north of Tokyo, and its big (and well-deserved) claim to fame is that is has about a billion UNESCO World Heritage Sites. And we were going to see them ALL!! Actually, we just wanted to take some more time soaking in an onsen! We found another wonderful Ryokan, Akarinoyado Villa Revage, run by a lovely couple on the eastern end of Nikko. We arrived before it was possible to check in, so we started our time in Nikko with a hike to Jakko Falls (really more of a nature walk up a road than a hike), and found quite the adventure! As we turned up the road towards the waterfall and looked out over a lovely stream, we saw a monkey!! And then another, and another, until we realized that we were looking across the stream at a pack (is that the right term?) of wild monkeys! 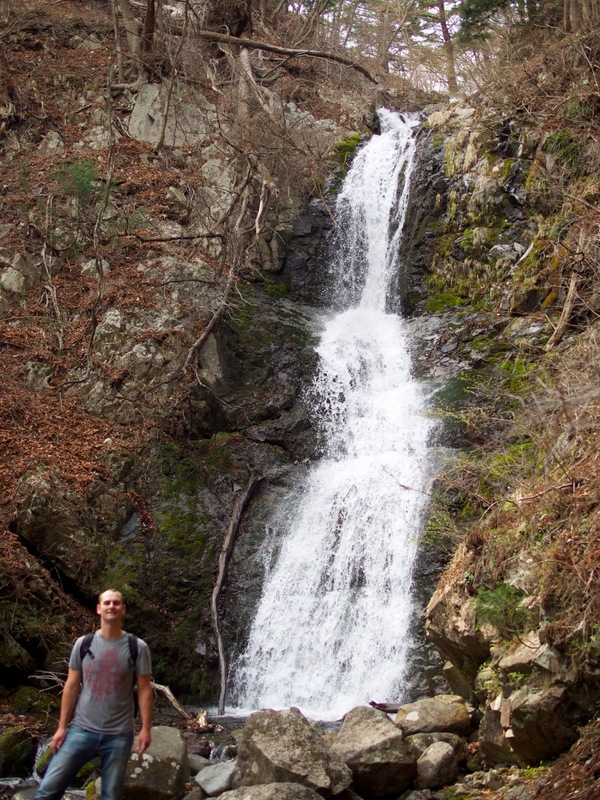 Sadly, our monkey pictures didn't really turn out spectacularly, but it was a great walk! We headed back to the Villa for some onsen and an absolutely delicious dinner prepared by our host, Kono-san. Up early (with another soak!) the next morning, it was time to see some culture!! We hopped a bus down to central Nikko, where the World Heritage Sites are, and bought a combination ticket to see the main temples and shrines: Futarasan-jinja, Tôshôgu, and Rinnô-ji. 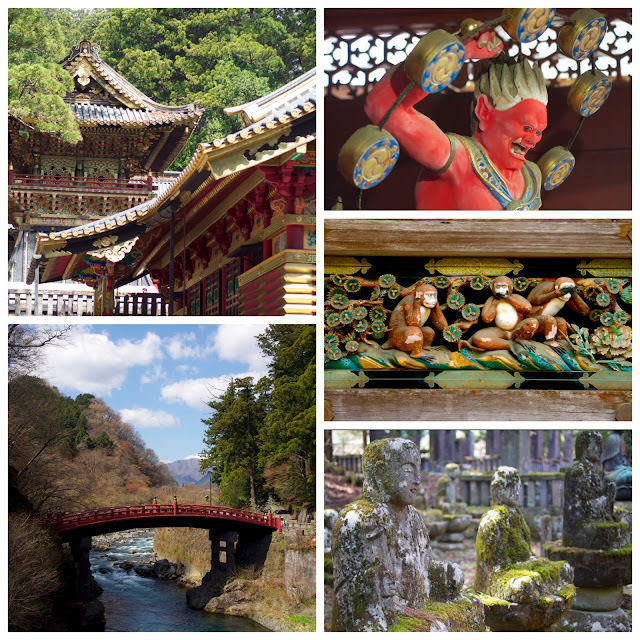 The sites were stunning arrays of color, nestled into the forest, with some amazing carvings. One claim to fame is that the "See no evil, speak no evil, hear no evil" monkeys are carved on the stable house here. What I didn't know was that the panel is just one of a story of a man's life, and refers to the fact that children should not see, speak or hear any evil. The other panels depict pieces of a man's life (nurturing from mother, seeking independence, experiencing heartbreak, and falling in love. 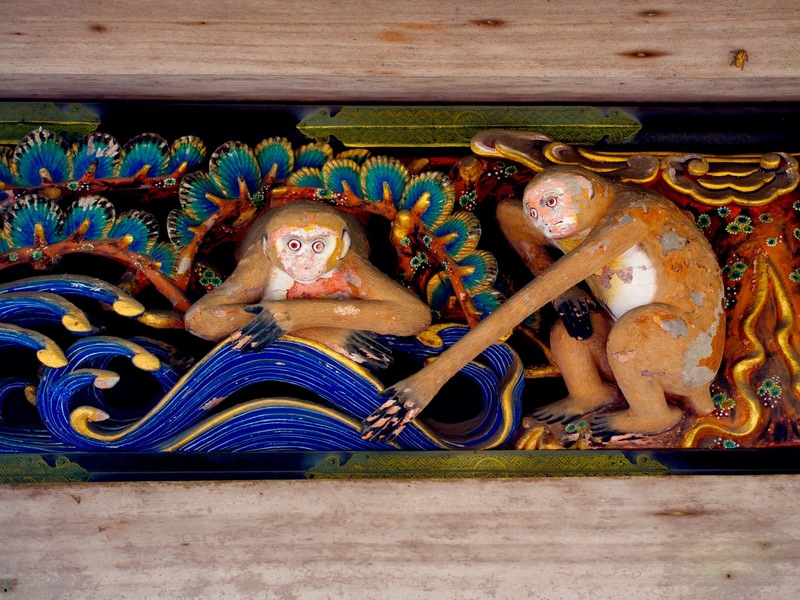 One of the last panels was our favorite, and depicts a newly married couple (of monkeys) riding the waves of life's troubles together, to safely make it to calm waters. Thanks for sharing your experiences. Keep the posts coming!! Ok, first of all, what!? That book is insane! Did you have any idea about it before then? Also, whe you say there was a host at Nikko, what does that mean? Is that someone you hired or someone who ran the place you were staying? Loving reading these posts! I never knew how much I want to go to Japan!